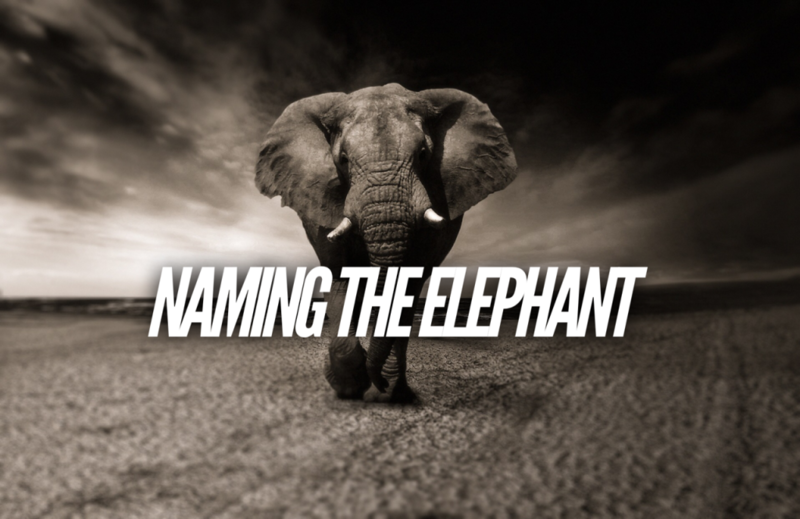 In my previous post on Co-dependent Churches: A Major Barrier to Change I talked about how we have several elephants in the room. Let’s talk about them more specifically. We have a real problem with tradition. It shouldn’t be this way because we have always been about the scriptures and criticized other groups for their view on tradition and giving authority to tradition (e.g. Catholic church) but we can be just as bad. We said we had no creed but the Bible. We said authority for our practices must come from the Bible. Then we created other practices the Bible never talks about or gives us directive on and came up with terms never found in the Bible to justify our conclusions (e.g. expedient) in order to give them extra-biblical authority, then we bound them on people, and ultimately made these traditions salvation issues. More on how that took place at the end of this article. There are many examples of this we could talk about but here is the big one, and honestly it makes me nervous to say it out loud but I have read the Bible over and over and I am convinced this is true – instrumental music. It is a tradition. There is no instruction for or against instruments in the New Testament. It is a beautiful tradition. It is something I enjoy (usually 🙂 ) but it is still a tradition. It has its roots in the history of the church. We are imitating early church practice so we worship as they did, without instruments. I am in tune and in line with that reasoning. But we still aren’t left with anything to do with what God is pleased with or any overt instruction in the New Testament on what God really wants here. Then we take it one step further. Instrumental music is the most glaring instance of taking a tradition and making it a salvation issue. Let me put this bluntly – if God expected every single person to pick up a Bible and read Ephesians 5 and Colossians 3 (assuming they even had those book of the Bible and in their language) and come away not only saying instruments are wrong but that God will send you to hell for using them, if that were really the case, then God is not only confusing but also reckless. If God needed us to come up with a very specific way of reading the Bible (Command, Example, Necessary Inference) that wasn’t in existence for 1800 years in order for us to come to the conclusion that instrumental music is not only the way God wants us to worship but will send us to hell for getting it wrong – God is a poor communicator. If your eternity rests on having the right hermeneutic (way of interpreting the Bible), that has only existed for 200 years now, then I wouldn’t be sure if I would want much to do with a God who treats people like that. What I do believe is that God has made heaven and hell, salvation issues, abundantly clear in the Bible and Instrumental music is not one of them. We made it a salvation issue, not God. We were wrong to do so. A cappella is tradition. This is where I am supposed to say all kinds of things to make sure you know I am still on the team…to let some of the anxiety off. I am sure tempted to do that but I won’t right now because it distracts from the point. It softens the blow. Then we don’t have to deal with it and everything is back to normal again. If you are as uncomfortable having this said that is the way co-dependency works. We are too nervous to name it and so we let things go on they way they are because it is easier to just let it go than to put it out in the open. I am by no means the first person to say this. I do want to be clear that I believe this is a prime example of the issue I was describing in my previous post and my anxiety to say it out loud (and maybe your anxiety considering it) only affirms the co-dependent connection. But we haven’t had the freedom to say so out loud for fear of the doctrine police who must keep everything in check. They will come after you in a moment. They will try to get you fired if you are in ministry. They will write you up…make videos about you, etc. What looks like security is actually the opposite. It is insecurity. If you cannot be questioned and your positions scrutinized you aren’t secure, you are insecure. Let’s set him on the table (must be a strong table to hold this one), examine him, and have the freedom to call it for what it is. Instead of going to scripture to find practices and do them and then call anything we didn’t find tradition…we took the practices as they were and tried to find verses to make the Bible say something about it in order to then make it an issue of being biblical and having sound doctrine. We read our agenda into the text rather than let the text inform us of its agenda. If we cannot look at something the Bible doesn’t teach on and call it tradition we are co-dependent. If we are too afraid to say this because we will get attacked – we (and our attackers) are co-dependent. If we keep from speaking truth for fear of who we might upset – we are codependent. Let’s speak the truth and then have a real conversation without having to be anxious about the conversation or the outcome. If it requires personal attacks to get this right, I am out. Christianity, Creeds and Churches of Christ…No Creed But the Bible? What are the non-negotiables of the Christian Faith?